Love Kenny's? Me too!! 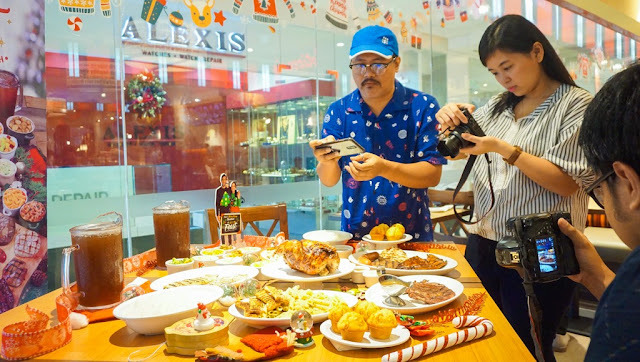 Just wanted to let you guys know that they have a new group meal called the All In Feast that's perfect for the holidays! 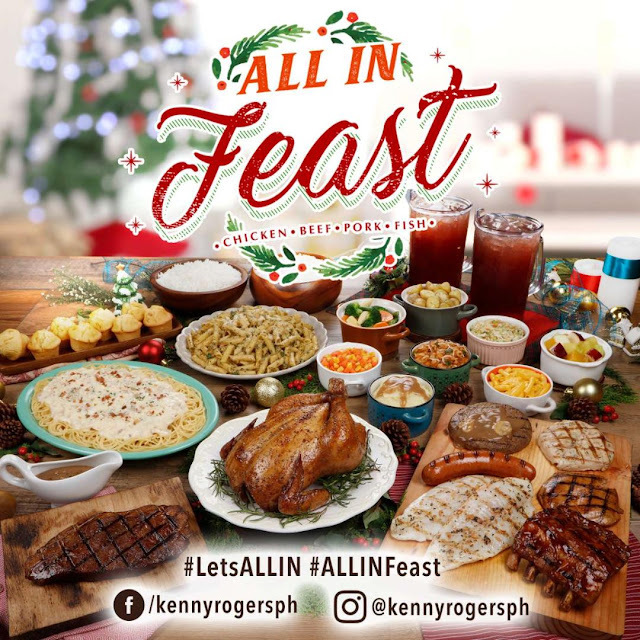 The All In Feast features all your Kenny Rogers Roasters favorites in one package - one whole chicken of your choice (Classic Roasted, OMG, or Bacon Roast); fresh-off-the-grill specials like Premium Steak, Half Slab of Ribs, two Grilled Fish, two Grilled Chickens (Rosemary & Thyme and American Barbecue), Grilled Sausage, Burger Steak, a platter of Carbonara, a platter of Creamy Pesto, 8 sides of your choice, 8 Corn Muffins, 2 rice bowls, and two pitchers of Iced Tea or Soda! Another limited time offer is their signature 2018 Merry Kenny Muffins - the perfect way to end your meal or to give as a gift. 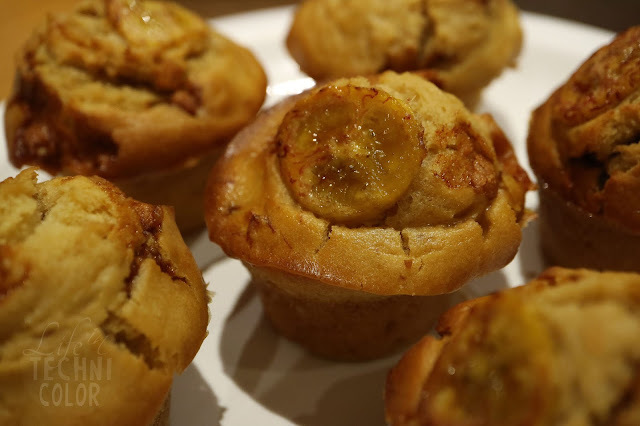 Merry Kenny Muffins are available in two delicious variants: Banana Caramel and Fruitcake. It's available in boxes of six for Php 115 or Php 18 per piece. 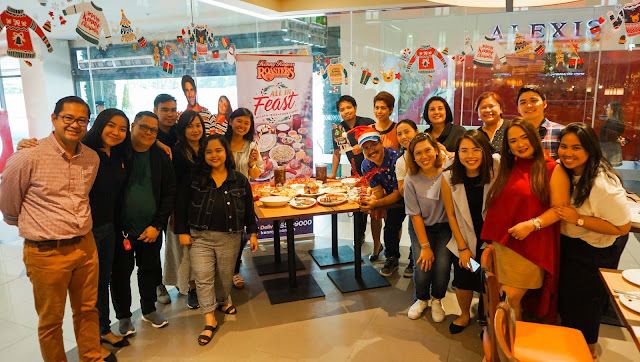 You can also choose to upgrade your All-In Feast Corn Muffins to a Merry Kenny Muffin for an additional Php 5.